For our first city guide of the year, we thought we’d go explore a city we could learn from to become our best self in 2019. As Danes are supposed to be the happiest people in the world it seemed like Copenhagen was a good place to start. There are cities you visit for architecture, history or gastronomy, we’d like to see Copenhagen as a city you visit for the lifestyle. Walking the streets of the Danish capital, you can clearly witness what some people call “the Danish Way”: The search for a better way, on every level. This includes design, food, transportation and the infamous work-life balance. This might be the main reason that brought us to Copenhagen. Considering how central environmental issues are becoming around us, we thought it would be more than interesting to see how the city has become a pioneer in sustainability, and most importantly how people have adopted sustainability in their daily lives. The most striking illustration of this is without a doubt the biking culture in Copenhagen. The city is literally built for biking and today more than 50% of the population bikes to school or work daily, whether it’s raining, snowing or sunny. This doesn’t only improve CO2 consumption and people’s health, it also makes the city super quiet and easy to navigate. Tourists are also welcome to join in, thanks to public bike rentals like Donkey Republic, Bycyklen and many others. The hardest part is keeping up with the Danish rhythm on these biking highways! But biking culture is only the tip of the iceberg. There are plenty of initiatives that make the city green: from electric public transport to green roofs, sustainable harbor and clean water, you name it. When you start looking for good places to eat, it is very clear that two-Michelin-star restaurant Noma has had a huge influence on Copenhagen’s cuisine. Ranked best restaurant in the world by Restaurant Magazine for 4 years, Noma has spread the “New Nordic” wave in Copenhagen, and far beyond the Danish borders. New Nordic cuisine is characterized by the innovative use of seasonal and local products as well as the reinterpretation of traditional Nordic cooking methods. Altogether you can feel there is a strong sense of respect in Danish culture. Respect for the environment, respect for others, and respect for oneself. Danes are known to have the best work-life balance and focus strongly on leisure time and spending quality moments with others. You’ve probably already heard of the philosophy also known as “Hygge” (pronounced hu-gue) which pretty much stands for ‘coziness and comfortable conviviality with feelings of wellness and contentment’. So, in 2019, don’t forget to light up some candles, get together and take the time to read a good book by the fire. The second reason that brought us here was definitely cutting-edge design. If you’ve known Bellerose for a while you probably know how important design is to us, and Danish design is unquestionably one of the best in the world. Focusing on minimalist, timeless beauty that will last for years, Danes will inspire you to go back to simplicity, and quality over quantity. A choice that is in line with a greener mentality and that also applies to fashion and food. 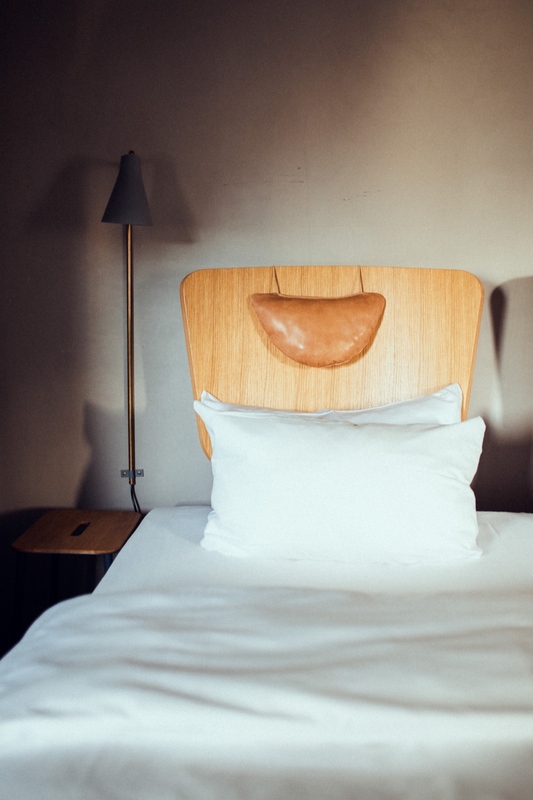 SP34 – We immediately fell for the very Scandinavian design at SP34: minimalistic and cool, yet elegant. Concrete floors and wooden furniture, a mix of modern and vintage Danish design – that sounds like something we would like at Bellerose. Ideally located in the Latin Quarter, a hip neighborhood right in the heart of the city, SP34 has a very laid-back vibe. During the daily wine hour (5-6pm) you can get comfortable by the fireplace, enjoying a complementary glass of wine along with the other guests. Also, breakfast - served in the beautiful restaurant Vaekst just next door - is to die for. A (huge) fully organic buffet in which the bread, juices, smoothies and granola are all home-made. Manon Les Suites - Another cool option is Manon les Suites, an exotic and eco-friendly hotel located in the very cool neighborhood of Norrebro. The central swimming pool is definitely a plus. 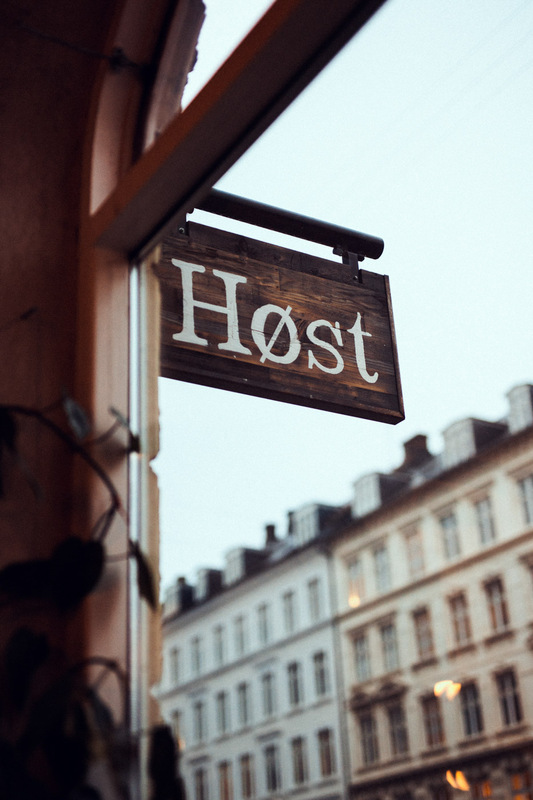 Höst – If you want to get a taste of the New Nordic cuisine at a (relatively) affordable price, we highly recommend you try an evening at Höst. Awarded most beautiful restaurant in the world, the whole idea behind this restaurant was to offer great Nordic food, following the philosophy of the Noma, to a larger public. The seasonal menu changes gradually 6 to 8 times a year to follow the rhythm of the changing seasons. In winter you’ll find darker colors and flavors, while in the summer you’ll have lighter, fresher ingredients. There’s also a strong emphasis on experience at Host, the chefs and waiters will make you live an unforgettable night full of surprises. 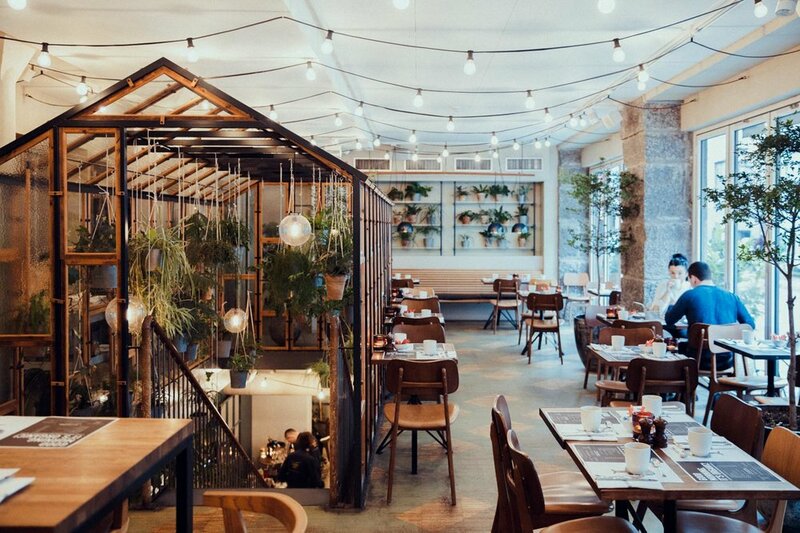 Fleisch - Located in the heart of the meatpacking district, Fleisch is a place that will make meat lovers happy. Celebrating the district’s heritage, Fleisch is an all-in-one butcher, restaurant and bar that takes the job very seriously. Their selection of organic meat from Danish farms is treated in the purest tradition of butcher craftsmanship. Get a table and watch the chefs in action back in the open kitchen. Torvehallerne - If you want to eat on the go, drop by the Torvehallerne food market. They have the absolute best Smørrebrød (the typical Danish open sandwich). Coffee Collective - Copenhagen is simply full of super cool and cozy cafes, the hardest is to choose. If you’re looking for the best coffee, head to Coffee Collective. You’ll be sure to find the finest coffee, plus they are fair trade and transparent about their production which is something we can only encourage. Paludan Bog & Café - If you want to take a break and read a good book, Paludan Bog & Café is the place to be. You’ll be surrounded by old bookshelves —which create a super cozy atmosphere— and students from Copenhagen University just across the street. Apollo Bar - If you’re not in a coffee mood, Apollo Bar’s just two steps away for the world famous Nyhavn, next to the Kunsthal Charlottenborg contemporary museum. The beautiful venue was decorated with statues borrowed from the museum, Danish midcentury furniture, and a color palette inspired by the academy library. This mix creates a very cool place that is often packed, so make sure to book a table if you want to enjoy their canteen. Design Museum - If you’re interested to know more about Danish design, Copenhagen’s Design Museum is a must. 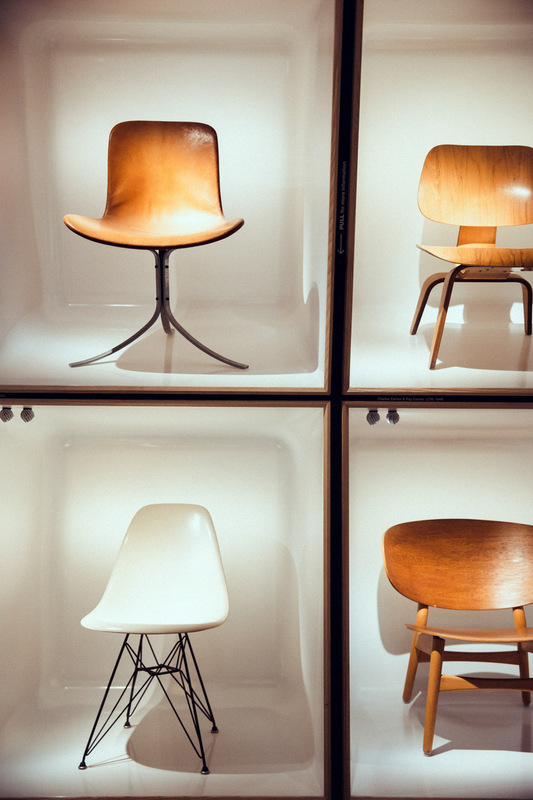 The exhibition shows the evolution of Danish design through the years until now. Iconic pieces of furniture, posters and all kind of daily objects highlight the work of names such as Poul Henningsen, Kaare Klint and Arne Jacobsen. 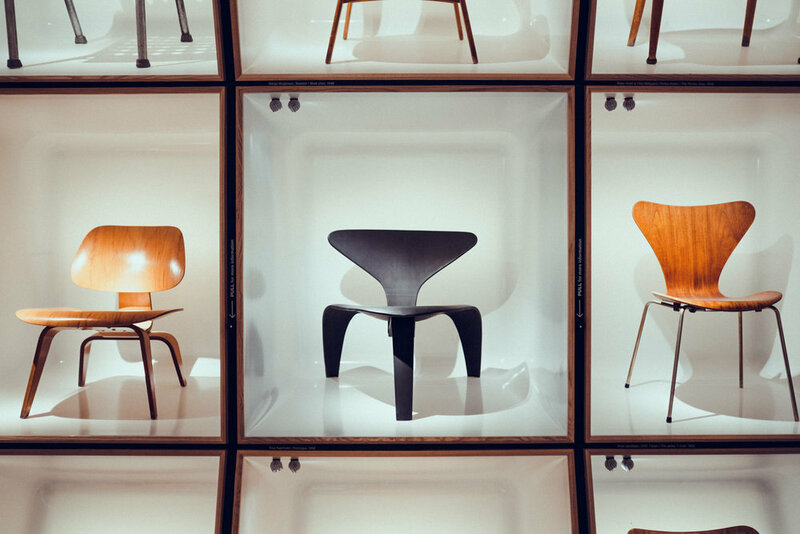 Our favorite part is definitely ‘the Danish Chair’, a room dedicated to la crème de la crème of Danish designers’ chairs. The museum also shows temporary exhibitions that are worth checking out and has a cool souvenir shop and café. Louisiana Museum of Modern Art – Unfortunately, we didn’t find the time during our stay in Copenhagen to visit the Louisiana, but that just gives us the perfect reason to come back to the Danish Capital! Located 40 kilometers north of Copenhagen, Louisiana is a unique place to appreciate modern art and sculpture. The number one asset of the foundation is its architecture and location. Don’t go there to see art, go there for the experience. Botanical Garden – Whenever we go on a city trip, we love to stop by a park or a garden for a green break. The least we can say is that in Copenhagen we were spoilt for choice. It is official municipal policy that all citizens must be able to reach a park or beach on foot in less than 15 minutes, so you can imagine it isn’t hard to find a nice spot to relax. We were particularly charmed by the Botanical Garden and its impressive old glasshouse. It was closed when we came by but the inside of the palm house is beautiful and free to visit. Jaegersborggade - One important piece of advice: when going to Copenhagen, be ready to say goodbye to your money. On every corner, you’ll find a new shop even more beautiful than the one you’ve just discovered two minutes ago. Vintage shops, design boutiques, concept stores, showrooms, if you know where to look you will find treasures. A very nice place to start is Jaegersborggade, one of the city’s most trendy street located in Nørrebro. There, you’ll find colorful ethnic rugs at Craft Sisters, cute little cactus at Kaktus, zero waste everything at Gågrøn, sneakers at Sneakers & Coffee, and the list goes on. HAY House - If you’re looking for Danish design, the Hay House should probably be on top of your list. Danish design brand HAY’s flagship store occupies an amazing two-story space in an apartment building overlooking the Amager Square. 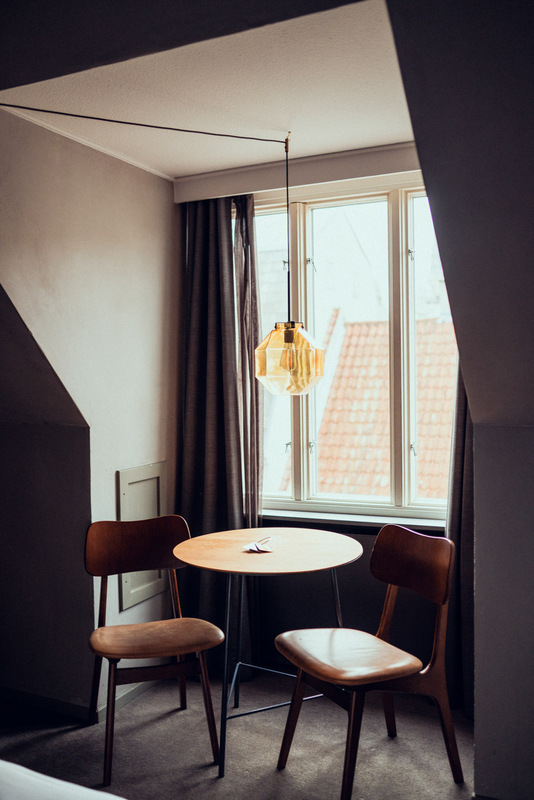 Even if you don’t have space to bring furniture back home they have plenty of small design objects, from kitchen tools to office supplies, that will bring that Danish touch to your everyday. 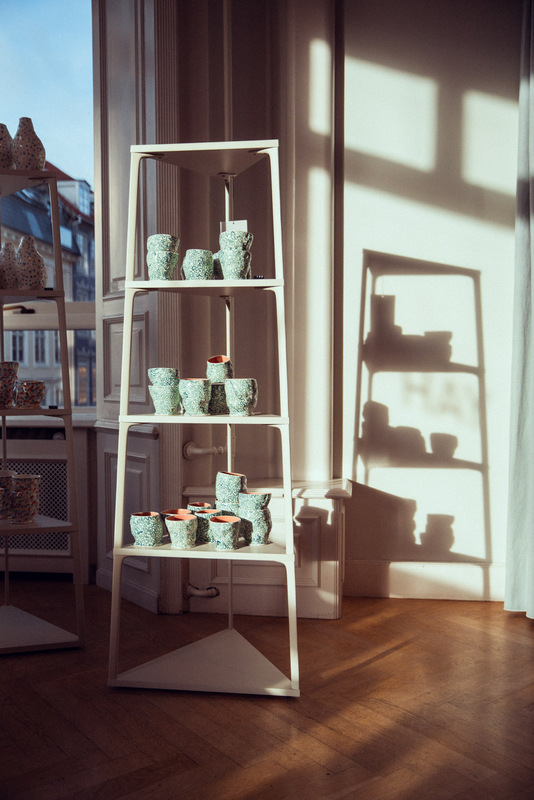 Frama – This is our coup de coeur discovery : Frama Studio Store. When entering this pharmacy from the late 1800s we didn’t really know what we had just found… A concept store selling beautiful cosmetics and interior design? 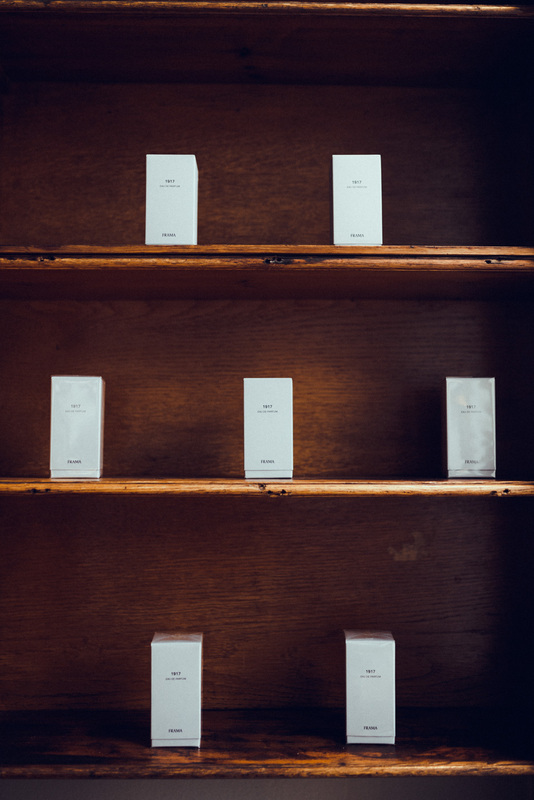 Frama is actually a multidisciplinary design studio working in various creative fields and directions from furniture, lighting, apothecary, books, apparel and kitchens. Their philosophy can be summed up in three principles : simplicity, timelessness and return to basics. Focusing on natural materials and simple geometry, we could only be charmed by their portfolio displayed in this unique venue.